The new report concerns Dr. Ian Crozier, a 43-year-old American physician diagnosed with Ebola in September while working with the World Health Organization in Kenema, Sierra Leone, has been declared cured of the disease due to the Ebola virus. He was treated at Emory University Hospital’s special Ebola unit in Atlanta and released in October when Ebola was no longer detected in his blood. with the WHO in Kenema, Sierra Leone. However, less than two months later, he developed an inflammation and very high blood pressure in his left eye, which causes swelling and potentially serious vision problems. After doing research back, the Ebola virus that does not exist. However, the virus occupies the doctor's left eye, and causing tremendous pain and his eye color turned from blue into greenish. The researchers never suspected that the deadly virus could infect a human eyeball. 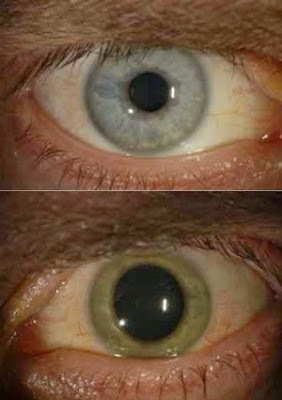 Although the virus infect the left eye of Dr. Crozier, the researchers did not find the virus on the surface of the eyeball, also tears out of the infected eyes, it's indicating that the virus will not spreading the disease through eye contact.